The thrill of the hunt is over for Justin Bonomo. For now. 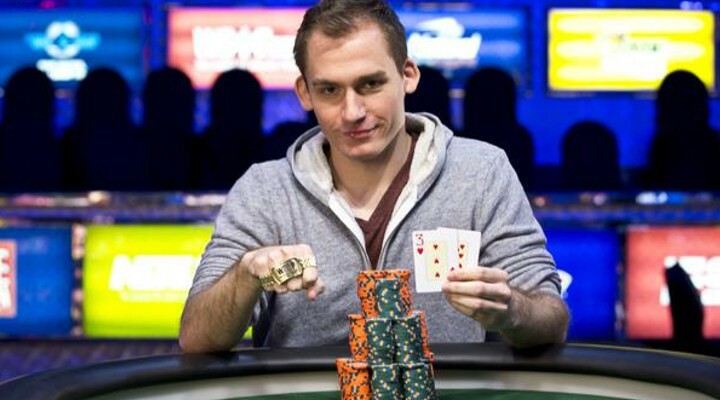 Bonomo, who was widely regarded as one of the top names on a theoretical list of top pros to be without a World Series of Poker bracelet, has finally ascended to the top of poker mountain in Event #11, the $1500 6-max NL, to claim the top prize and some new wristwear. One gets the feeling, in this case, that it truly is a case of the bracelet being more important than the money as Bonomo has been very vocal about his quest to earn gold. That tweet came earlier this week when Bonomo had picked up a nice $219k payday for his runner up finish in Event #5. That finish marked his 3rd career runner up at the WSOP. Finally, Bonomo didn’t have to settle for second best as tonight he takes home the $449,980 first plaze cash and finally beats the proverbial bracelet monkey off his back. From youthful banishment to current Player of the Year leader (which he assumes from Brock Parker with the win), Bonomo will spend tonight celebrating but get back into #bracelethunting mode in search of #2.